Do Magazines Have Both a Paper and Web Future? Posted January 11th, 2012 by David Porter & filed under Social. Will Magazines Survive in Paper Form? An iPad application is set to lead the revolution in the way people consume media and accelerate the movement of advertising spend from magazines, news papers and television onto the web. The brainchild of veteran Silicon Valley entrepreneur Mike McCue, Flipboard will take content from people’s own social network and display it as if it was a magazine to be browsed. It goes one step beyond a Twitter stream by opening your random links and showing them as full articles, snippets, updates, pictures and infographics, just like a magazine. According to their own website, ‘Flipboard is on a quest to transform how people discover and share content by combining the beauty and ease of print with the power of social media’. They have launched the ‘world’s first social magazine across multiple platforms’. Publishers who have agreements with Flipboard will see their RSS-chosen content redesigned for the viewer as magazine style; if there is no agreement, customers will go straight to the original pages. It creates a personalised content, much as someone interested in say cars, houses or holidays would buy a magazine specialising in that genre. But it allows a much broader display of tastes than a single glossy mag, so it is satisfying to readers and a joy to advertisers developing personalised targetting. Josephine Moulds quoted McCue in the Daily Telegraph (21 December 2011) saying: “I love hi-tech, but what I love even more is an experience that is so simple that the technology disappears’. What it also does, is make the technology seem as natural as picking up and thumbing through a literal magazine. McCue believes there is still a future for the actual magazine, but it will be expensive and something of a specialist, niche market. Silicon Valley based Canadian writer Thad McIroy expressed the view about the future of magazines, that while not as challenged as newspapers, they are on the internet hit-list. The long term prognosis of periodicals looks grim’. He felt business-to-business mags may fall first and the future of consumer magazines ‘is more cloudy’. He conceded that for now, digital magazines are extending the ‘reach’ of the printed formats, and they currently ‘augment their existing subscriber benefits rather than supplant them’. 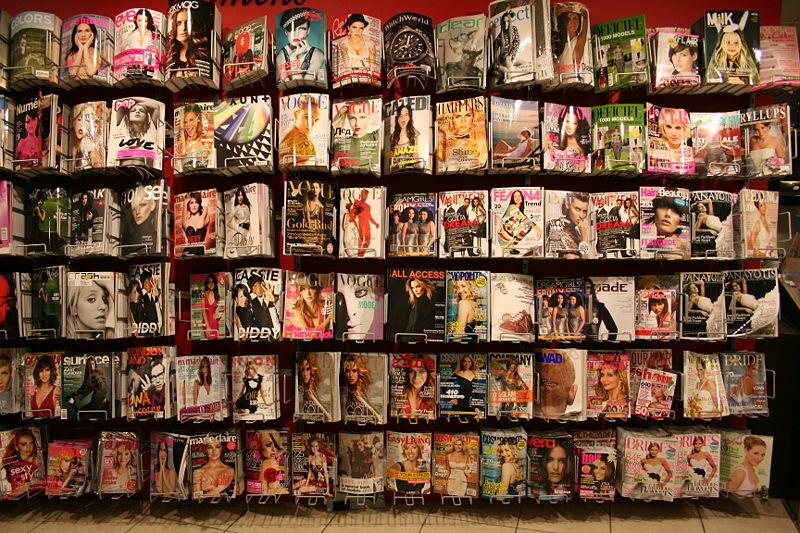 He pointed out that magazines are under threat from ad dollars shifting to the net, from timely news and commentary being available from web and social network sources. Publishers surviving if not fully thriving are becoming ‘adept at generating revenue’ from websites and web activities. The UK’s Times, for instance, is only available online by subscription, but they are maintaining a print-web business model. Others may follow them, but at least in the UK marketplace, are resisting so far. It makes sense that, just as in the book publishing world, the future of magazine publishing demands a happy mix of glossy paper, taster editions, ezines, online magazine versions and supplements. So far, customers accept both media equally. Paper editions for coffee tables, waiting rooms and journeys. Online ones for almost everywhere else. Thad McIlroy, The Future of Magazines, August 2011. CBS News, Nancy Gibbs video discussion on where Time Magazine will be in 20 years and whether customers will pay for online content, 29 March 2010.